It’s no secret that a large percentage of Latinos who reside in the United States can actually understand and communicate, to a larger or lesser degree, in the English language. According to the US Business Bureau, more than half of the 38.4 million US residents 5 and older who spoke Spanish at home in 2013 were also fully bilingual. For this reason, many business owners question the idea of investing in a marketing plan for the Spanish speaking community when the majority of them are able to understand English. It’s a valid concern since the cost of say, translating a full website, or running a TV commercial in their mother tongue, can add up very quickly. So, why should any business bother to cater to the Latinos in the US when many of them speak English? 1. The Latino Community Continues to Grow –According to the US census bureau, the Hispanic/Latino population of the United States–as of July 1, 2014–goes over 55 million, making people of Latino origin the nation’s largest ethnic or racial minority. Furthermore, the projections for the Latino population by the year 2050 will more than double to an impressive 116 million—over 30% of the U.S. population. This is a significant growth that business owners shouldn’t overlook if their goal is to grow their business and become well known among the US Latino community. 2. The Latino Community Loves Technology –According to a study run by the Nielsen company in 2010, 62% of all Latinos have access to the Internet at home. They also love their smart phones—44% of them are more likely to have phones with internet access and pay higher fees (14%) than the rest of the US population. Also, when it comes to TV viewing, Spanish speaking homes are more likely to watch TV in Spanish. Therefore, reaching Latinos through Spanish TV broadcasting is a great idea since there are only a few channels available—Galavisión and Univisión primarily—compared to the large number of TV channels available in English language TV. 3. 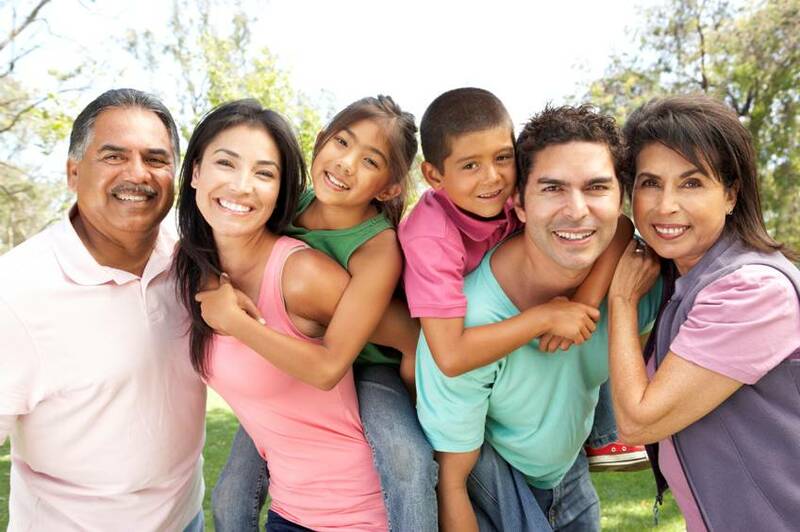 The Latino Community Values Connections –All Latinos value their connection to the language of their parents and grandparents, whether they are fully bilingual or not. Preserving their language and Spanish heritage is the main pillar of the Latino home. So, businesses that make an effort to communicate with the Latino community in the language that defines their identity, will develop a strong connection with them and gain their trust from the start. I still remember the day I over heard a group of students speaking Spanish while walking on campus as a BYU college student. I immediately felt drawn to them; I wanted to come up and join in their conversation–like old friends do! Listening to my native language in a foreign country felt warm and safe; this same feeling of familiarity can be created when a business owner makes it essential to connect with the US Latinos in their mother tongue. Latinos—even those who speak English well–will notice you, value your efforts, and support you until the very end. Even though general marketing efforts may reach all ethnic groups in the US, creating a language connection with the largest US ethnic minority is a smart move for any business owner and organization. It’ll not only increase your website traffic and expand your target market; it’ll also help you to stand out in your field of expertise, open up the doors of opportunity for your business, become memorable among US Latinos, and allow you to build and maintain a strong and trusting connection that’ll undoubtedly set your business apart from the competition.